Landlord forms are used to handle the matters regarding a landlord rights and the agreement between landlord and tenant. 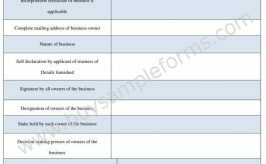 So, the forms are made to record many different purposes. When a tenant moves into a new property, it is the responsibility of both parties to make an agreement regarding the property, which include the rent and other details. The form also sates the term of agreement that means whether it is a lease agreement or rental type. The other matter that the form is looking after are the responsibilities of the tenant, the property related matters and if there any additional thing, it should be mentioned in the form. There is also another type of landlord forms which is landlord eviction forms, which an eviction enforcement officer verifies it and according to the recorded data, the eviction process is made. The eviction form is filled up very carefully and it can be held as a legal document. Though the process can be long and you have to get a clear idea about when you can approve a new tenant. The general landlord rental form carries information regarding the tenant’s past rental experience and some questions that the tenant needs to be answered. 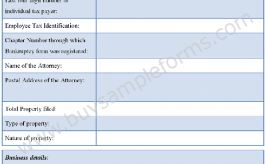 There is also a landlord lease form that holds information based on the lease agreement. For examples of this form, see here. A landlord tenant form outlines the relationship between a landlord and tenant with regard to the rental residential lease.